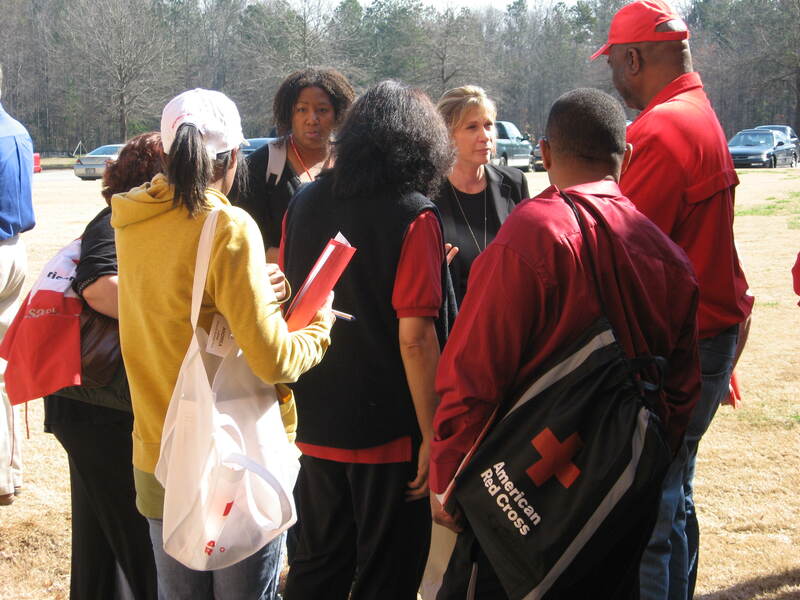 Atlanta Red Cross – Busy,Busy,Busy!!! On March 10, a combined 30 volunteers and staff from Red Cross chapters around the state of Georgia and the Red Cross Blood Services Southern Region (Douglasville, GA), convened at the Georgia State Capitol to meet with state legislators, discuss emergency management and preparedness in Georgia and celebrate Red Cross Day at the Georgia Capitol. Red Cross volunteers and staff members also witnessed Governor Sonny Perdue’s presentation of a Georgia Red Cross Month proclamation on the North Wing Capitol steps. Later, Red Cross volunteers and staff were recognized in both the House and Senate Chambers. Since 1943, March has been celebrated as American Red Cross Month, a time to recognize the organization as a true reflection of the humanitarian and volunteer spirit. That year, President Franklin D. Roosevelt called on Americans to “rededicate themselves to the splendid aims and activities of the Red Cross,” and every president since has recognized the work of the organization and the millions of volunteers who help make our mission possible. Below, Dr. Earl Gassery, an Atlanta Red Cross volunteer and Georgia Red Cross Day attendee, gives a moving account of how the Red Cross has impacted his life and how it can impact the lives of others.